The marine and leisure team at Vail Williams was appointed by property investment company, Fuller Group, to advise them on the sale of Deacons Boatyard Ltd to south coast marina operators, Dean & Reddyhoff. The deal negotiated the sale of the 135-berth marina and boatyard, in an off-market agreement following the introduction of the two parties by experts in the marine and leisure team at Vail Williams. 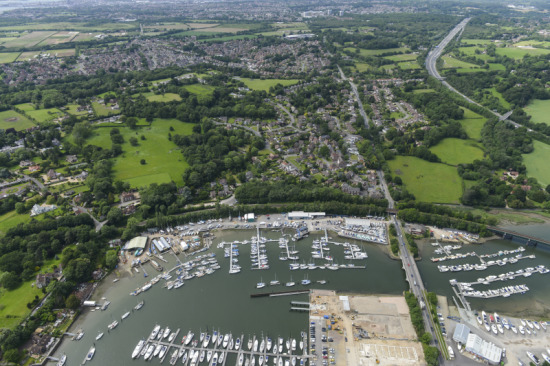 Situated on the River Hamble, Deacons Boatyard, which in addition to its marina boasts space for over 150 boats ashore, had been owned by the Fuller Group since the 1960s. Over the years it had undergone an extensive programme of works, including the dredging of the entire marina, and the development of new marina infrastructure in 2014. The business also comprised a skilled boat repair and maintenance operation, backed by complementary tenant engineering and support services. As a result of our expert knowledge of the sailing and marina sector, and having previously acted for Dean & Reddyhoff, the team at Vail Williams knew that the company was looking to grow by acquisition. Our expert market knowledge and ability to introduce buyer and seller in an off-market transaction enabled the sale to proceed on a totally confidential basis. This meant that Fuller Group were able to achieve a sale without having to undertake a traditional property marketing campaign. Given our position as a trusted adviser between both parties, we were also able to help guide the complex due diligence process through to successful completion. The two companies have since been working closely together to allow Deacons to offer boatyard services to Dean & Reddyhoff Solent-based berth holders. As part of the deal, Deacons’ annual berth holders will also receive the same boating benefits as all other Dean & Reddyhoff berth holders, including 21 free overnight visits to group marinas, discounts at on-site restaurants and free tickets for Southampton Boat Show.